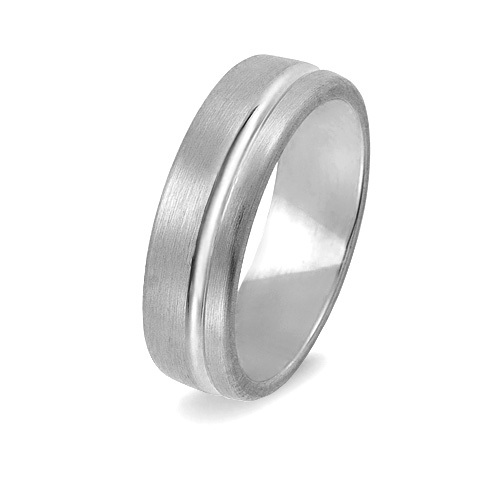 A fine wedding ring, substantial in proportions, with a superb satin brushed finish. The upper surface is slightly curved with an off-centred groove creating bands of different widths. The inside of the ring is gently rounded for a comfortable fit. Depth is 1.8mm and the width is 6mm. 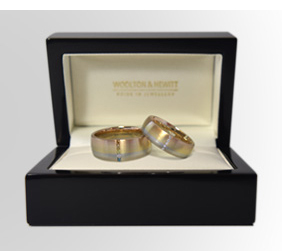 Available in 9ct and 18ct white gold, palladium 950 and platinum 950. Sample service available. We can post you a non-precious sample of this ring in a standard size to try on at home. It's a free service, we just ask for a deposit which will be refunded in full once the ring is returned. We will also loan you ring sizers so you can be sure of your size. Please select your approximate ring sizes below and click add to bag. Further rings or samples may be added before you check out. See our Terms and Conditions. 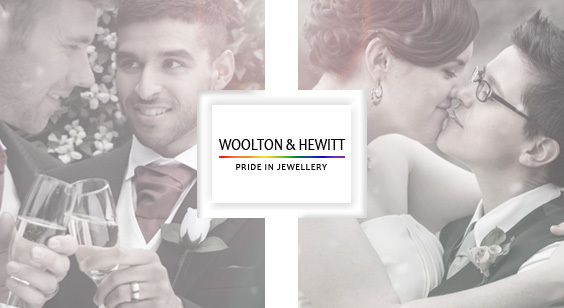 Please call us on or complete this form and we will contact you shortly to discuss your wedding ring requirements. Thank you.